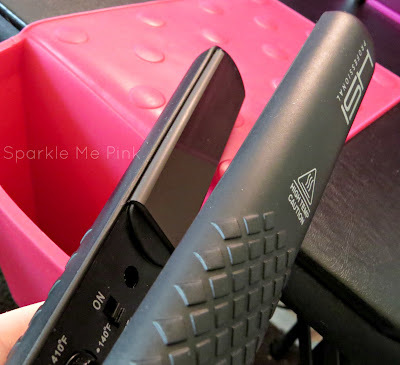 When my Remington T Studio flat iron pooped out on me I wasn't sure where to start looking for a new flat iron. I mean it seems like everyone had tried and loved a CHI but they are about $100+ !! and y'all know me I am frugal. So when I saw this HSI Professional being sold on Amazon for only about $60 and was salon quality / professional grade like the CHI is supposed to be, I was interested. 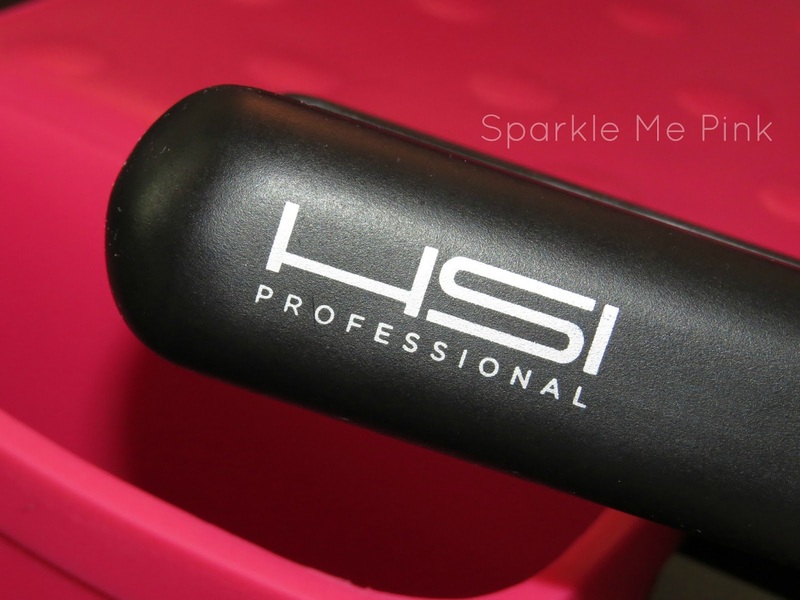 I have been lucky enough to have received this flat iron from HSI Professional to try out and review. As you all know, all experiences and opinions are 100% that of my own and if you doubt it watch the video !! Its difficult to argue with those results ;-) . As for the tool it self it has a sleek design with diamond like shapes on the hand for easy griping. It has heated up for me extremely fast and I have not experienced and problems with it thus far. No funky burning hair smell or crispy feeling; actually quite the opposite!! 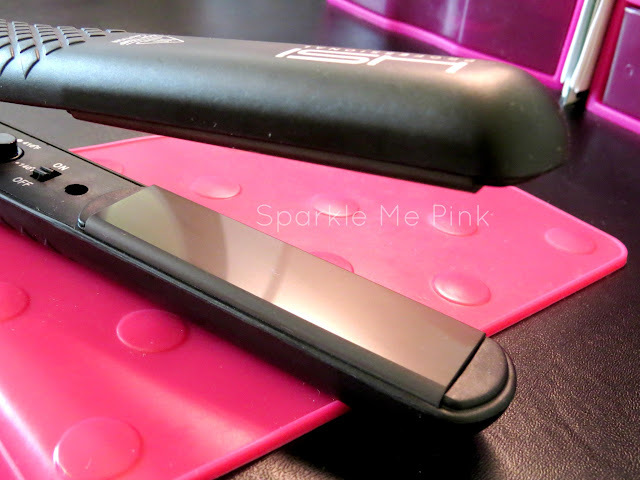 I feel like this iron leaves my hair looking even shinier and feeling softer than before I passed the iron over it ! The flat iron also comes with a Free heat glove, Free 5ml Argan oil leave in conditioner Bottle & a Free heat pouch for storage. In the picture above you can see how the edges of the plates are curved. 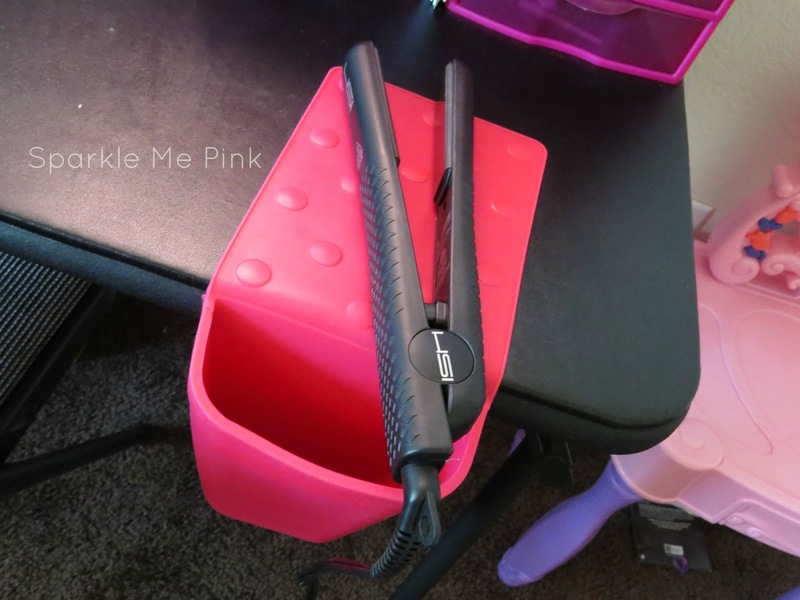 This helps with flipping you ends under and also using the flat iron to curl your hair - Let me know in the comments below if you are interested in a curl your hair with a flat iron tutorial ? Above you get a great view of the diamond pattern as well as the indicator light. This is the bottom of the iron. and my HSI chilling out in my Hot Iron Holster - see my review on that here. I REALLY want to try out their 4 Piece Curling Iron Set next !!! What are you currently using to straighten your hair ? Share your tips and tricks with us in the comments below. 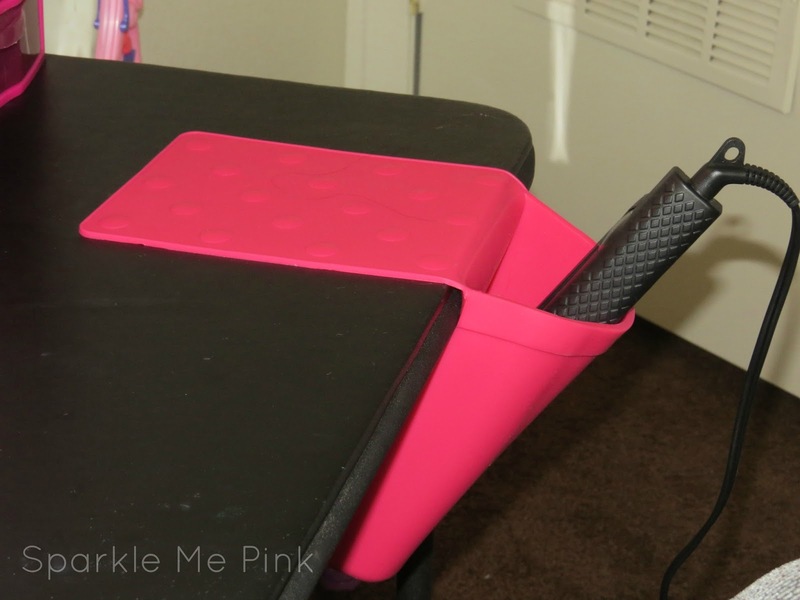 I was sold on the 360 degree swivel cord, and I love the flat iron holder and pad. Those two items alone make it unique enough for me. Then your hair looks fabulous. My hair is thick although not nearly as long as yours, but it still takes a major piece of equipment to straighten it well. I like how this one worked on yours! Looks like a great flat iron to have!! I am gonna have to get one, really did a great job from your photo! My daughter would take this away from me so fast. She burns through flat irons so quickly. It did a great job on your hair too. I need a new flat iron! This looks great! Great review! 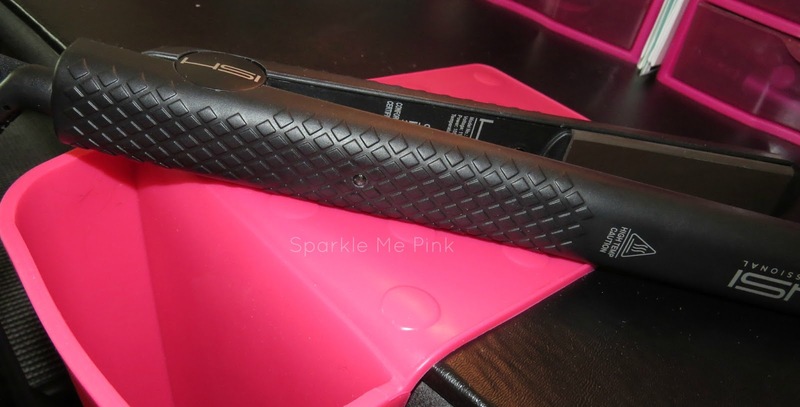 I've been on the hunt for a new flat iron myself! we found you over the youtube page! :) feel free to check out our blog as well! Thanks for the great review - we're looking for a new one and this really helped! I have thick coarse hair with lots of body that usually needs lots of product and work to get it smooth & straight. 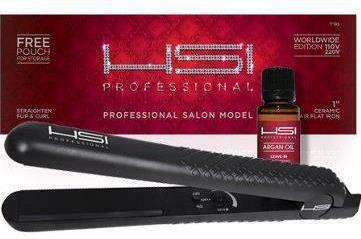 I received us the HSI flat iron with the Shielo Leave in Protectant Spray. I spray about 3 pumps in my wet hair. The first thing I noticed is how soft my dry hair was, even before using the flat iron. 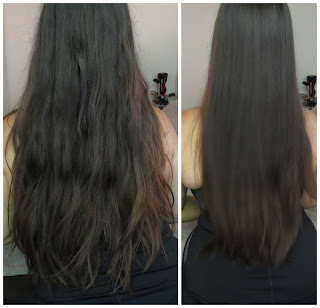 After straightening my hair with the flat iron, the results using the Shielo Leave in Product are even more amazing - My hair is smooth, straight, and silky. Plus, the look lasts all day even in the summer humidity.